If you home needs some freshness and more style to show, probably you’ve got some upholstery to be cleaned out! Same goes for your workplace, because we are available for domestic and commercial sofa and upholstery cleaning services. To make a quick order or to ask a question, dial this number 020 3746 5234 at any convenient for you time! After giving us a call, our kind customer support representatives will send a team of two cleaners to your property. The experienced Chigwell IG7 upholstery and sofa cleaners will inspect the furniture to offer you the cheapest, smartest and quickest solution specially for your case. When you receive the final quotation, you will be given a date for the visit, too. Know that we can suit anyone’s schedule, because we work in weekends and holidays, too. If necessary, we can arrange emergency or same-day services, too. You don’t have to be in the property. We offer key pick-up, too! RA Sofa Clean has designed its trustworthy sofa and upholstery cleaning service with the universal purpose to meet any personal customer’s demands. This is why you can use for the process for commercial and residential purpose, along with for a single visitation or frequently. 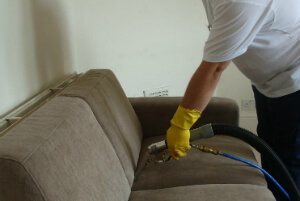 We can offer you weekly, fortnightly or monthly sofa and upholstery cleaning service in Chigwell IG7. What makes us so effective through the years and round the whole UK cleaning market, though, is our team of experts in hygiene and the gentle approach into finding the best equipment and tools for the procedures. Contact us on this phone number 020 3746 5234 today! Get a 100 % free quotation or make a booking for our hassle-free sofa and upholstery cleaning service in Chigwell IG7!